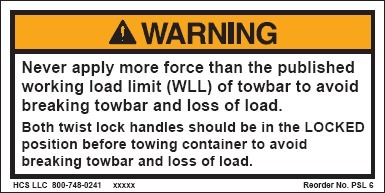 This towbar is a variation from our Towbar for containers. 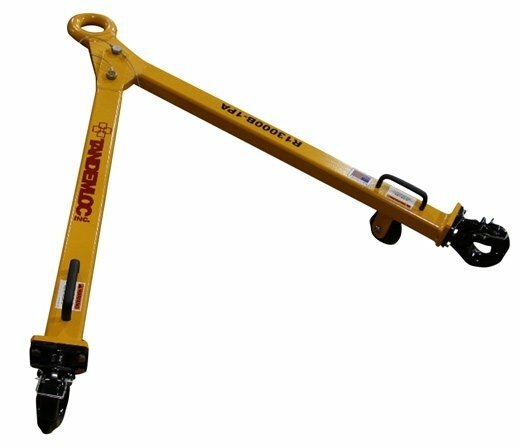 It does not incorporate twistlocks on the ends, but rather pintle hooks. 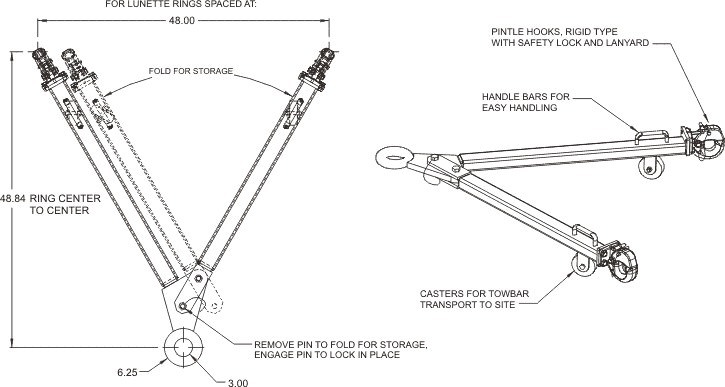 Let us know how we can build a special for you! Max. Trailer Weight: 30,000 LB. at 30° incline. Pintle hooks for rings from 2" to 3" I.D. and up to 1.625" diameter section.